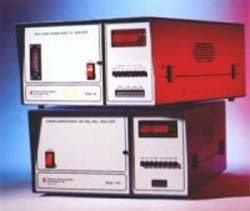 This easy-to-use self-contained unit is the industry standard for source testing and emission studies. Also available, the 42H's big brother: the 10S. CK Environmental Inc., 905 Turnpike St., Suite E, Canton, MA 02021. Tel: 781-828-5200; Fax: 781-828-5380.